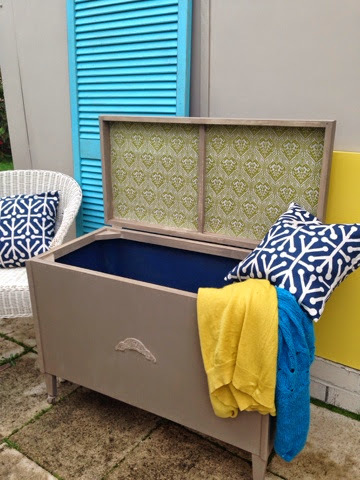 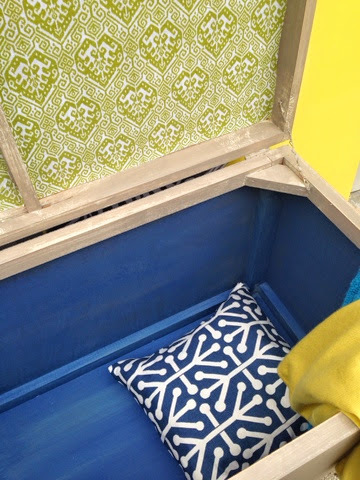 Drip Designs Furniture: Funky blanket box! 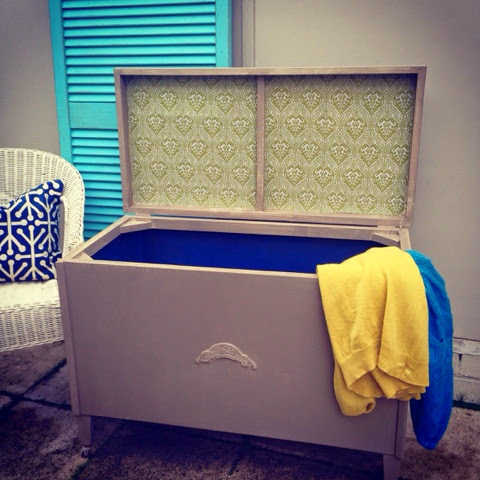 I forgot to take a 'before' shot of this little chest, but it was coffee coloured with a high shine varnish, desperately needing facelift! 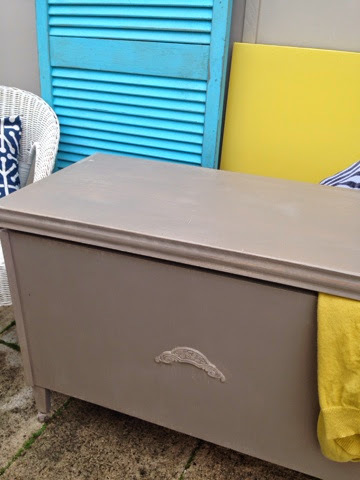 It wasn't antique, but I thought it had an interesting shape and lent itself nicely to the decorative Chalk paints, by Annie Sloan. 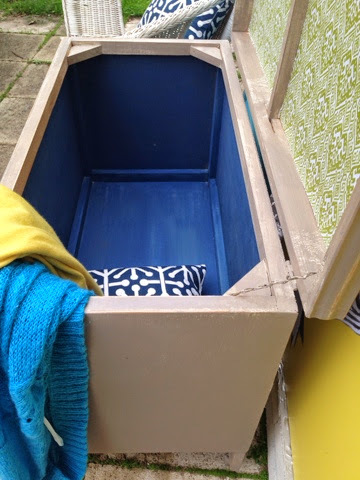 I painted two coats of Coco on the outer section, 2 washes of Aubusson Blue (half paint half water) inside the chest and decorated the inside of the lid with a beautiful pale green ikat fabric.